Yesterday December 16 I was with the FIX IT 3491 team in Washington State to attend the FTC Pasteur Interleague event. 35 FIRST Tech Challenge robotics teams competed. FIX IT did ok in the robot game, but wasn’t selected for any of the final alliances. But they did very well in the judged awards, winning the Motivate Award, 2nd nominee for the Connect Award, and 2nd nominee for the Inspire Award. 2nd nominee for the Inspires Award qualified the team to advance to the State championship in February. I’ve been busy lately with FIRST volunteering, most recently as Field Technical Advisor and Field Inspector at the BC FTC League One event held at UVIC November 19. 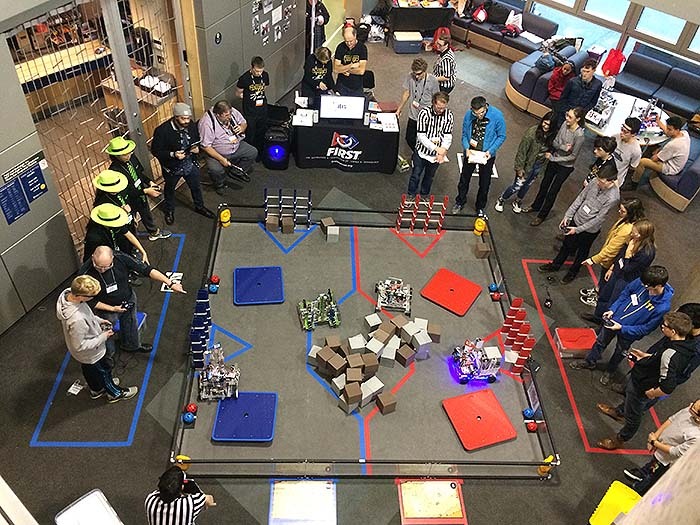 Ten teams participated in a fun-filled afternoon of robot competition. I used the slow-carb diet and the 4 Disciplines of Execution to lose over 40 pounds. I applied the 4 disciplines of execution to make the slow-carb diet easier to follow with less cheating on the diet and the ability to re-focus when things didn’t go well. I have been very busy this past year with FIRST. The mission of FIRST is to inspire young people to be science and technology leaders, by engaging them in exciting Mentor-based programs that build science, engineering, and technology skills. In addition to looking after the FIRST BC website, I’ve been volunteering at FIRST events and supporting team FIX IT 3491. 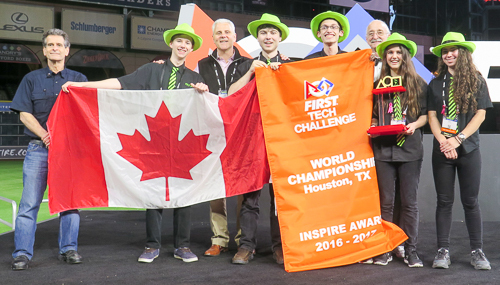 The big news is that FIX IT won the Inspire Award at the Houston FIRST Tech Challenge World Championship in Houston Texas. But there was so much that happened before that. I’ve been thinking about the Ubuntu 14 LTS to 16 LTS upgrade for awhile. It seemed like it was do-able, though comments on some web sites indicated lots of problems including bricked systems. I made sure I had a snapshot before I gave it a try. The trickiest part was resolving configuration file updates. But you can preview the differences and they were mostly changes I had made specifically so I kept the old config file. Naturally, the upgrade broke things. Fortunately, not too badly. PHP was the main problem. The upgrade un-installed PHP 5 without a replacement. Fortunately PHP 7 installed ok, though I had to re-visit my notes about what else to install, like php7.0-mysql, so WordPress would be happy. That took a couple of re-tries to find all the missing modules such as php7.0-mbstring, php7.0-mcrypt, php7.0-xml, php7.0-xmlrpc which weren’t a problem until BackWPup tried to run. I’ve been busy working on the new FIRST Robotics BC website. Just a basic WordPress site hosted on my AWS EC2 instance. I started a WordPress child theme to tweak some of the CSS. Even used Photoshop to prepare some of the images. But what’s really interesting is what FIRST Robotics BC is up to. FIRST engages students in science, technology, engineering and math (STEM) through participation in research and robotics programs. 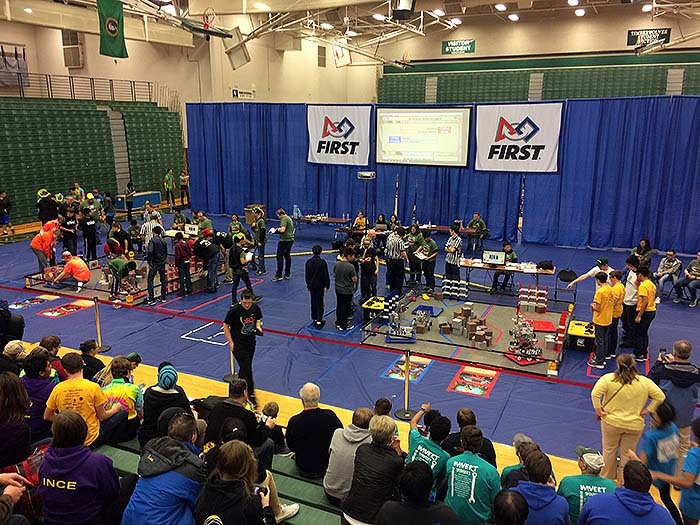 One of the high school programs (grades 7-12) is called FIRST Tech Challenge(FTC). Teams are challenged to design, build, program, and operate robots to play a floor game in an alliance format. There will be a FTC Kickoff event in Victoria BC on September 17. Find out more about FIRST, FIRST Tech Challenge, and this year’s robot game. Monte Carlo Tree Search (MCTS) is a heuristic search algorithm that can make game play decisions. It does this by attempting to determine the most promising move from those available. What’s interesting is that the algorithm just needs to know the game rules and winning conditions, it doesn’t need domain knowledge. Another advantage is that it can be interrupted or constrained by a time limit and will produce the most promising move found so far. I built a Tic Tac Toe player a couple of years ago and while upgrading Unity recently I thought I’d try building it for the web so I built a WebGL version.